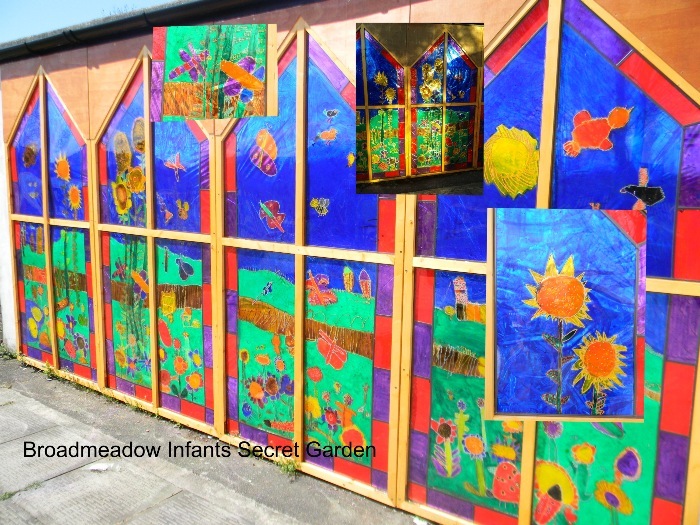 One off projects or long term residencies, with activities that are child-led, often open ended, encouraging children's creativity and exploration, creative thinking and visualising ideas. 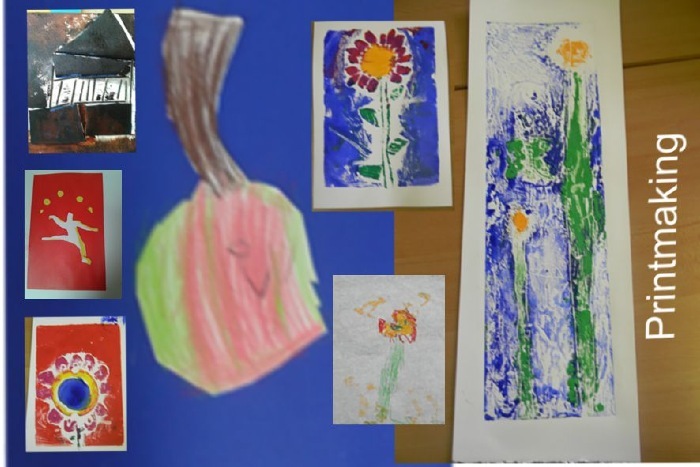 It could be creating a particular piece of work or supporting a curriculum topic in the classroom, exploring natural and recycled materials, from printmaking to paint, sculpture to story making and much more in between. I have experience with all ages , as well as work in PRUs and Special Schools. 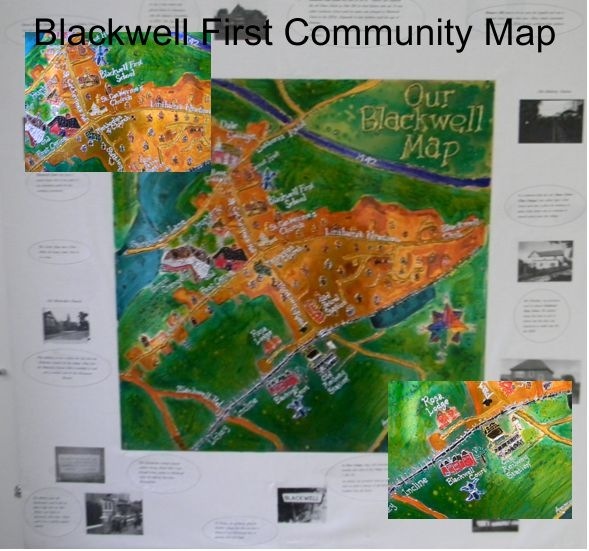 This was painted by the children onto copper, and is based on the local history, stories and landmarks researched by the pupils. This was for their quiet area, with an imaginary garden seen through windows. Glass paint on acrylic sheets. 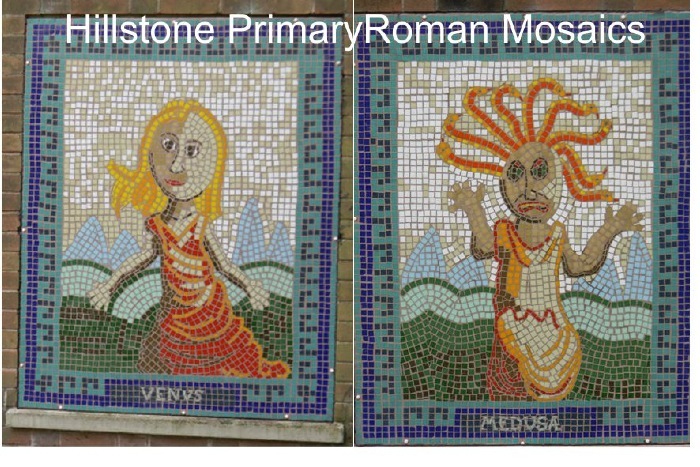 Hillstone Primary Year4 designed and created these 5ft x 4ft Roman Mosaics. 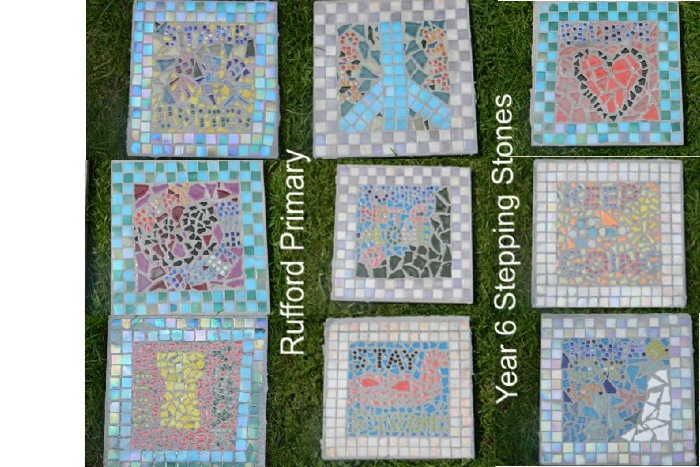 Year 6 at Rufford Primary School wanted to leave behind a legacy in their outdoor space. After doing some create thinking about what they did and achieved during their last year, they designed stepping stones with short messages of advice for the next Year 6. 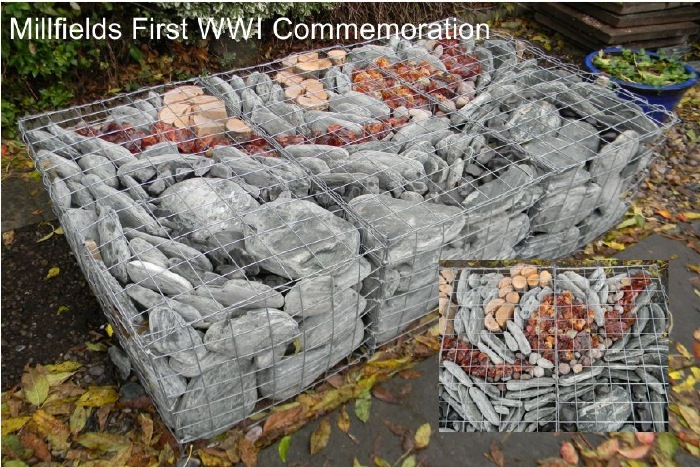 This work was inspired by the paintings of the Western Front by Paul Nash, showing the landscape pummelled by artillery fire, and pushed and pulled out of shape. Printmaking techniques including linocutting, transfer prints, relief prints, screenprinting monoprints and collographs. 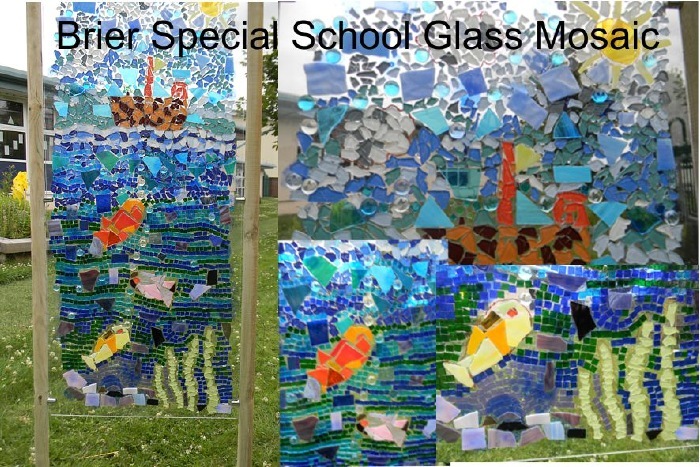 This mosaic was designed and created with students at Brier Special School, as a memorial for a teacher who loved sailing.